Swisher Sweets are among the most popular bestselling machine made cigars on the market today. Produced in Jacksonville, Florida by Swisher International, these machine made cigars are a unique blend of quality tobaccos and special flavorings that produces a very mild, sweet tasting, satisfying smoke. Swisher Sweets are machine made catering to all manner of cigar smokers-from the casual to seasoned veterans. 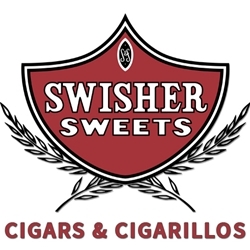 Swisher Sweets are also famous for their machine made cigarillos, these smokes are offered in an extensive choice of wrapper shades and tobacco blends that range from all natural to exotic and fruity flavors. Swisher Sweet machine made cigars are presented in variations of packaging suited to fit every taste, lifestyle, and budget. Swisher Sweets machine made cigars have long been a classic choice among cigar enthusiast for decades and are presented in excellent quality and come in a wide variety of sizes and flavors. Here at Smokers Discounts we made it easy and affordable to purchase machine made cigars online. Call us for more details!